Lynn Butler, a third year Multimedia Journalism student, blogs about her placement and subsequent freelance role at ITV News Central in Birmingham. The Open University’s advice page for mature students doesn’t start too promisingly. And that’s what I’m about to become. I came back to full-time higher education in 2017 after deciding to return to a career in journalism. I’d had a break of seven years and when I started scanning jobs sites I soon realised my previous role as a ‘print journalist’ just didn’t exist anymore, and that my skill set was lacking. I now needed multimedia training and experience to stand a chance of working in a news room. The ability to produce video packages and podcasts was now as essential as the basics of newsgathering and producing copy. 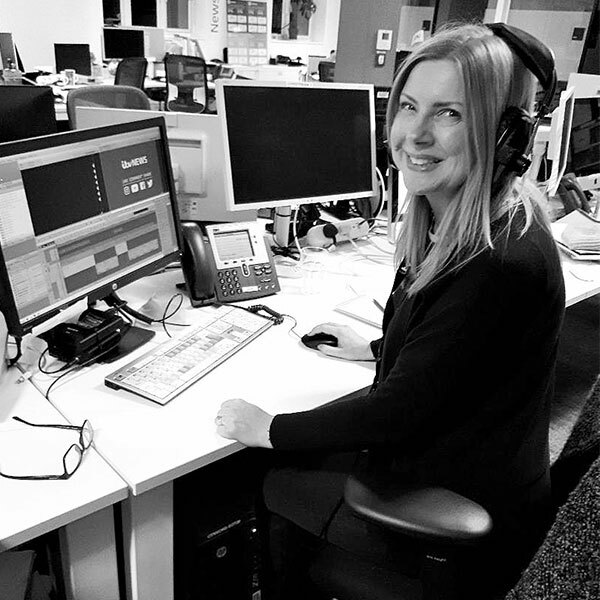 With its focus on equipping students with the practical skills and knowledge required to graduate ‘industry-ready’ the University of Wolverhampton’s Multimedia Journalism BA degree was perfect for me. Due to the course’s excellent industry contacts, last summer I was fortunate enough to be offered a week-long placement at ITV News Central in Birmingham where I hoped I could put some of my new skills into practice. The experience I gained at ITV was invaluable. I was able to sit in on production meetings, watch rehearsals and programmes go out live from the gallery and chat with presenters, reporters and production journalists about their career paths and why there were so passionate about TV news. Thanks to the contacts I made at Central, just a few weeks later I returned as a freelance production journalist. Following a few day of training I was able to produce videos and articles for the programme’s website and its social media feeds. I had to pinch myself; just 12 months earlier I’d been sitting in traffic on the M6, making the initial decision to head back to university, wondering whether I would ever be employable as a journalist again. My proudest moment? Discovering my online video about the 112th birthday of the UK’s oldest woman, Grace Jones, had been viewed more than 2.5 million times. I couldn’t have made these vital industry in-roads without the practical skills and support I received on the degree course. And it was heartening to discover my previous newspaper experience was still widely valued within the media industry. Hopefully when I graduate later this year landing that dream job won’t be so difficult after all. To find out more about the Multi-Media Journalism course visit the course pages on our website.